The lobby welcomes guests with floor-to-ceiling windows that let in ample sunlight. 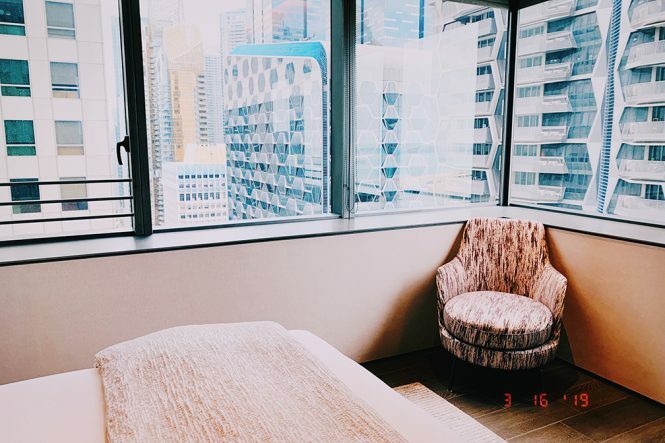 Incredibly spacious rooms, home-style living, and other little luxuries are some reasons why one might choose to stay in a serviced apartment instead of a hotel. 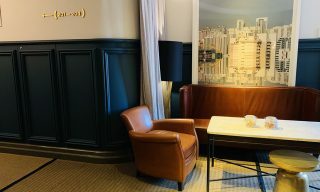 Thankfully for those seeking a quick urban getaway, luxury serviced apartment Oakwood Premier OUE Singapore has started offering daily stays—previously, guests were required to have a minimum of six nights’ stay. 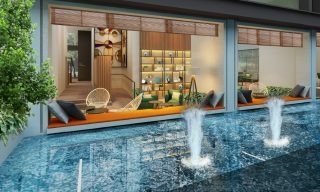 Located in the heart of Singapore’s buzzy Central Business District (CBD), the 268-unit property blends modern elegance with nature inspired elements. 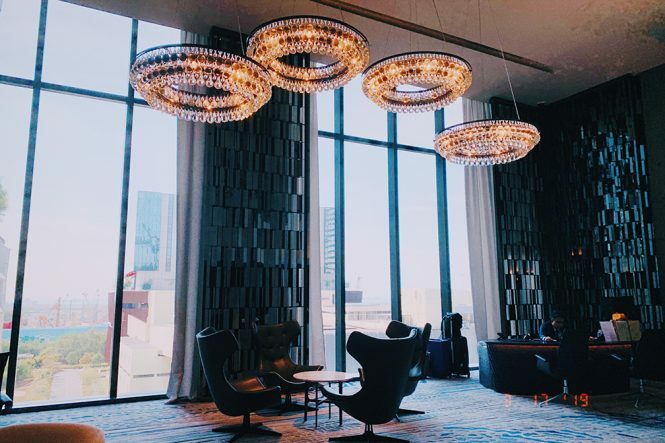 Designed with floor-to-ceiling windows that let in ample sunlight, the lobby welcomes guests with eye-catching elements such as sleek, curved chandeliers; textured walls with metallic panels that catch light, and vases that bloom with white orchids. Inside the one-bedroom premier apartment. To take advantage of the daily stays, book Oakwood’s new weekend staycation package, which is valid for the cozy studio, one-bedroom deluxe, and luxurious one-bedroom executive apartments. I felt right at home in the one-bedroom premier apartment, which came beautifully furbished with a muted white and grey theme. Beautifully furbished with a muted white and grey theme. Think: travel-inspired wall prints, striped rugs, textured arm chairs, and a fully equipped kitchen (oven and stove included!). Other amenities include a state-of-the-art Blue tooth sound system, as well as Samsung mobile and tablet. The only thing missing from my lazy weekend here? Netflix on the television. 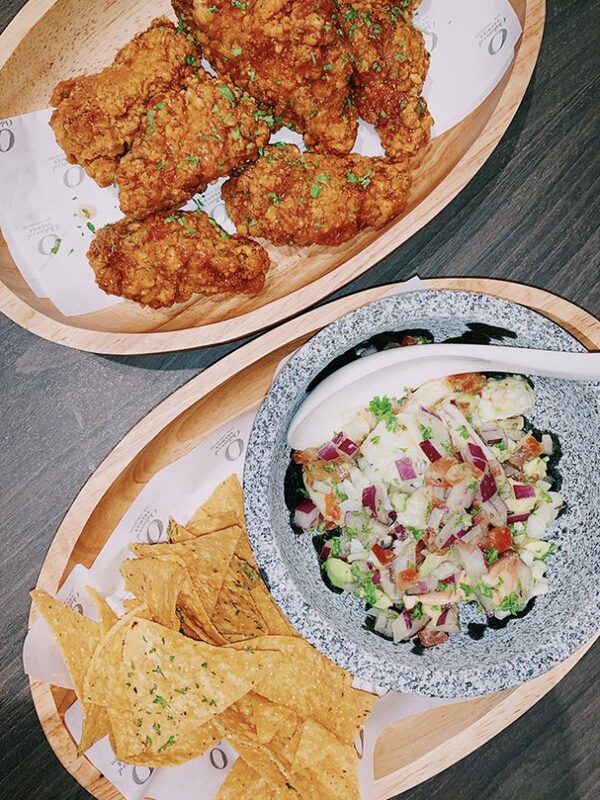 When dining at SE7ENTH, be sure to order the signature crispy chicken wings with truffle maple. The staycation package also came with various dining perks, including signature welcome cocktails for two at The Bar, complimentary breakfast for two at all-day dining restaurant SE7ENTH, as well as 30 percent off for an a la carte dinner or a complimentary bottle of sparkling wine with a minimum spend of S$50 (US$36). When dining at SE7ENTH, be sure to order the signature crispy chicken wings with truffle maple, a hot favorite among the guests. For a poolside snack, go for the moreish seafood ceviche with tortilla chips and you won’t be disappointed. Those looking to nail that Instagram-worthy vacation shot ought to book the colorful unicorn pool floats in advance. When not chilling out in the room, make a beeline for the outdoor infinity pool, which offers a great view of the Lion City’s CBD skyline. Those looking to nail that Instagram-worthy vacation shot ought to book the colorful unicorn pool floats in advance. 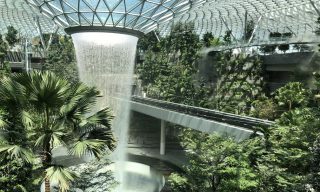 Guests looking to explore beyond the CBD can take a quick MRT train ride to the nearby Tanjong Pagar station, where they’ll be able to find plenty of delicious local eats and cocktail bars that open till the wee hours. Rates for the weekend staycation package starts from S$280 (US$206) per night for the studio or one-bedroom apartments.